The once great sports bookmakers is continuing to devalue their brand with the spamming of dodgy links to ensnare more punters to their scam. The inexpensive marketing strategy has worked and will work because they will take money out of your account if you do not bet with them because their odds are so unattractive. If you need further evidence just do a random search on Twitter or the web and see examples of bets dishonoured. 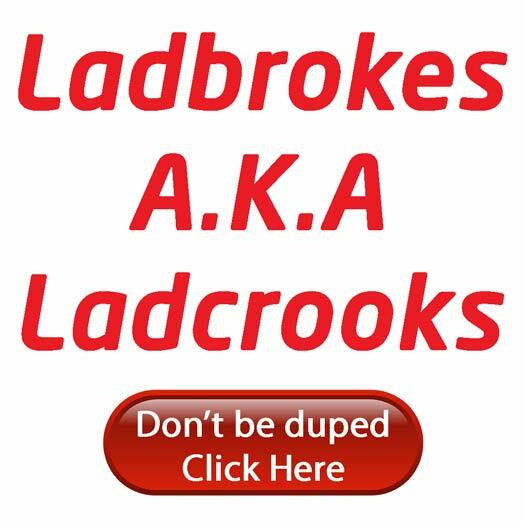 PokerKnave's Blog Ladbrokes, ladbrokes is ladcrooks, ladcrooks. permalink. Your source of information “Twitter” is very reliable! As a former Ladbrokes employee you must have seen their dodgy practices close up.